Import beer supplies from far abroad have stabilized in 2016 and even started growing. This is due to major market players who provide an affordable price and wide distribution. Besides, the changes in the import segment are associated with a licensed production launch and transmission of rights for exclusive distribution of major brands. Taking retail price and geographic link as a basis, the import beer market can be divided into two segments. The mainstream and economy segments are represented by beer from neighboring countries, that is from Ukraine, Belarus, and Armenia, which is alternative to Russian mass brands. The premium and superpremium segments consist of beer from other countries, mainly the European Union, that is usually more expensive than the licensed and craft Russian brands. 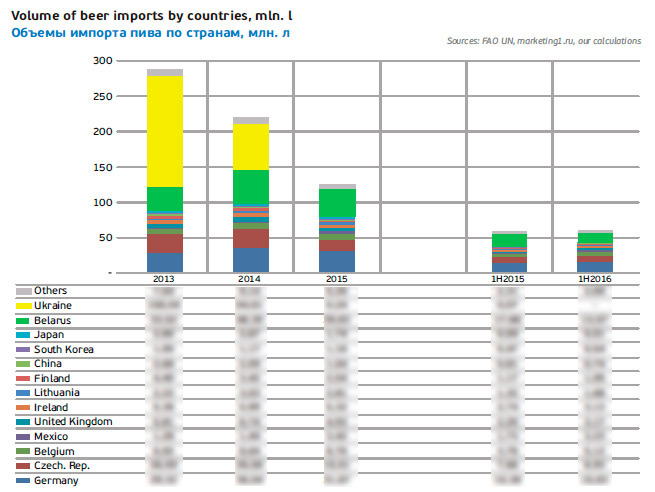 Till 2015, the beer import was mainly dominated by the segment from neighboring countries; however, the ban on Ukrainian beer import means that now the expensive beer from the EU takes up more than … of supplies. 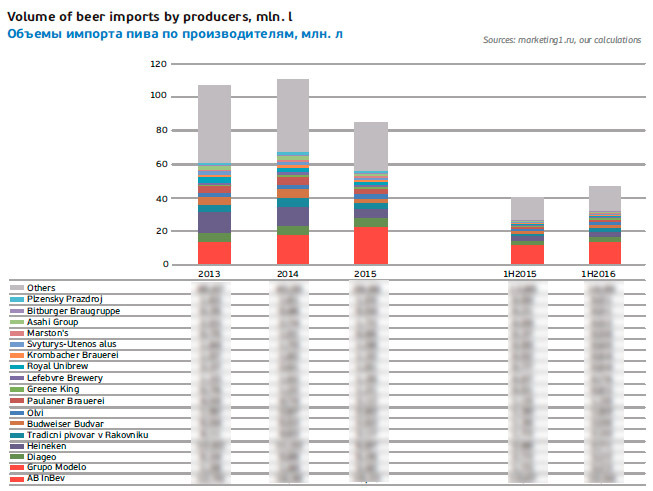 If we speak of the supplies in general, according to FAO UN data, in 2015, beer import to Russia from allied Belarus fell by …% to … mln l. The volumes of Ukrainian beer deliveries were decreasing rapidly, and the minor growth of Belarus import could not offset it. The net customs value of imported beer declined by …% to $…, that is, the decline in monetary terms was proportional to the volume and the average contracted price for a beer liter remained practically the same, having amounted to $…. 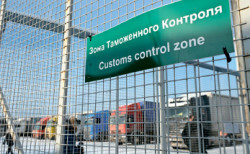 But the prices for beer from far abroad reduced by …% to $…for a liter, that is, the European brewers tried to keep the prices in rubles after the devaluation. During the first half of 2016, the beer supplies from abroad did not only stabilized but also grew by roughly …% to … mln liters. For the understandable reasons, the import structure has changed dramatically. The volume is expanding mostly due to the EU countries. Expensive beer sales has grown resulting from euro rate stabilization, price checking, and consumers’ loyalty reinforcing, as well as from the interest to import brands on the part of major market players, that are expanding their portfolio. All seven of the leading EU source-nations, accounting for almost …% of the import, increased their delivery volumes in the first half-year. At the same time, inexpensive beer deliveries from Belarus have declined, as it for the first time yielded its leadership to Germany. Besides, deliveries from Asian countries and Finland have decreased. The trend to increase the number and weight of distributors changed into its opposite several years ago. Currently the import beer market is becoming increasingly consolidated. In the expensive beer segment, mostly represented by European brands, this process has become more active since the recession outburst. Over the period 2014-1H2016, the leading ten the beer distributors from far abroad countries extended its share in the segment from …% to …%. The leading ten brands have also increased their share, but it was a rather slow process, and the dynamics was uneven. In 2013, it amounted to …%, and in the first half of 2016, it reached nearly …%. It was driven not so by loyalty loss of famous brands as by the launch of their license production. 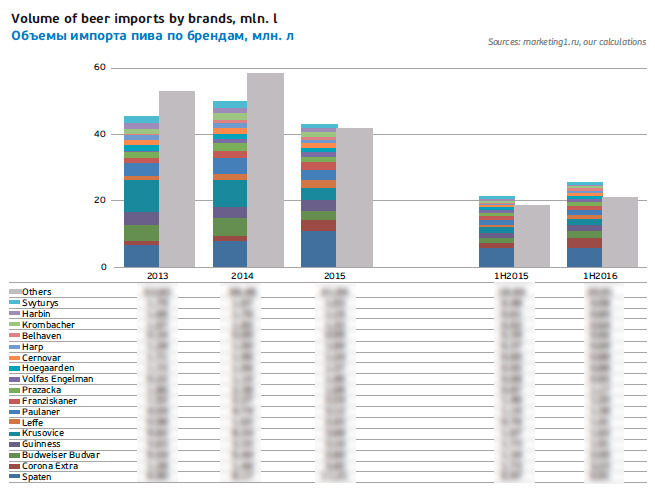 Among the import beer distributors, according to “markening1.ru” data, company AB InBev experienced the mightiest growth. In 2016 one can expect reaching a volume of … mln l and a share of …% in the net supplies volume. Under our estimation, it means a tenfold growth of beer deliveries from the far abroad against 2014. This does not mean an equal growth of AB InBev production as the company took a part of the deliveries from its trading partners or affiliated companies. The growth was mainly connected to the fact that in 2014 the company obtained the exclusive rights for distribution of two German brands Franziskaner and Spaten. Together they account for more than a half of AB InBev import. These brands’ leadership can be explained not only by their background but also by the same owner Spaten-Franziskaner-Brau GmbH. One of the biggest German companies became a part of AB InBev as far back as in 2008. 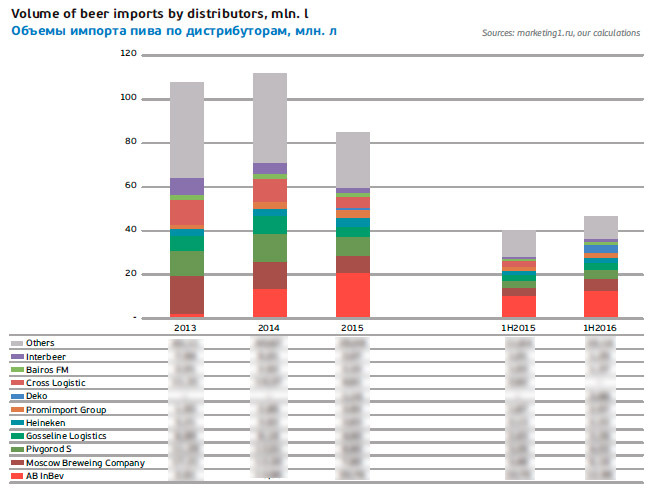 By 2015, beer Spaten became the biggest import brand on the Russian market. Certainly, very rapid growth of its sales was the result of employing AB InBev’s wide distribution network and price checking (in summer 2016, the retail price averaged RUB 250/l ). However, the wide popularity was won by the Bavarian brand earlier. The bulk of packed beer sales accrued to “MBC” and draft beer was also sold by Svam Group (Interbeer). For the both companies, Spaten brand was №2 in their import beer portfolio. AB InBev monitors the parallel import, currently, nobody but duty free shops imports Spaten. During the first half of 2016, supplies of keg beer amounted to almost a third of the total volume, and the rest of the rest of the volume is equally divided by can and glass bottle. At that, Spaten remains to be the unrivalled leader among German beer brands with a …% share, exceeding the nearest competitor, Paulaner brand by four times. In 2015, AB InBev got the main import delivery impetus from Mexican brand Corona. And in the first half of 2016, its share in the import portfolio reached …%. Note that Corona is one of the global AB InBev’s brands, the first among which is Bud and Stella Artois is the second one. Besides, Corona is the sole global import brand. Brand Corona belongs to Grupo Modelo. On being founded, company AB InBev became the owner of a …% stake of the Mexican producer that also was also purchased by Anheuser-Busch and in July 2012, Grupo Modelo came fully under the control of AB InBev. Leffe deliveries have increased by almost … times over the last three years. Only in 2013, it was as far down as place 15, in the import segment. Yet now its share has increased from …% to …%, and the position in the brands list from far abroad has risen to the …. The sales of the Belgian brands were promoted due to the retail price cut by a third in summer 2015 and to the rapid distribution growth. Both sorts Blonde and Brune are currently gaining popularity rapidly. Having undergone a reduction of volume and share in the import segment, “Moscow brewing company” started restoring its positions, as the company’s share grew up to …% during the first half of 2016. The decline three years ago was caused by excluding two then key import brands, namely, Franziskaner and Spaten. However, such “stress test” seems to have done good to MBC and import beer lovers. Currently, the import structure of the company is complex and diverse (for one important exception). Irish Harp, German Krombacher, Erdinger, and a big family of sorts by English company Well&Young are only some of a host of the world’s brands represented by MBC. Budweiser Budvar is still the biggest and the oldest brand in MBC portfolio. Its market share and weight in the company’s portfolio fluctuates (there was a decline in 2015). Yet, in the first half of 2016, it showed growth and accounts for a … of the total volume. Budweiser Budvar has been long known to Russian consumer, and many people associate the image of Czech beer exactly with this brand. Since the mid90-ies, the brand has been imported by many trade companies. But in the early noughties, there appeared a leader of Budweiser Budvar importers into the Russian market, namely distributing company North Winds, which then became its exclusive importer. North Winds belongs to Detroit Investments, famous for its successful operations on the beer market (in particular for the creation of PIT group and then selling it to Heineken company). Russian beer business Detroit Investments was reorganized into Moscow brewing company that inherited the rights for the brand exclusive distribution. The brand of Czech national colors is produced at the state brewery Budweiser Budvar N.C. Its sales share in the segment of import beer from far abroad was gradually growing since 2008 and reached its peak in 2011. 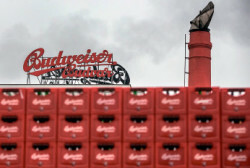 Afterwards, there were opposite but apparently connected processes - Budweiser Budvar market share was decreasing but beer supplies to MBC were growing. The company has de-facto become the exclusive importer for the Czech brand. In 2015 the import volumes and Budweiser Budvar share in the import segment underwent a sharp decline due to the ruble devaluation. However, in 2016 they started restoring rapidly. In the segment of Czech import beer, Budweiser Budvar’s share amounts to …%. The third biggest distributor of import beer is company Pivgorod-C, which belongs to industry holding Pivdom. Along with beer made in Russia, Pivdom sells import as an independent player and Heineken partner. That is why the company’s sale volumes are to a big extent determined by the partner’s brand policy as to Krusovice beer. For many years Krusovice was the leader on the import beer market. Though Royal brewery of Krusovice became a part of Heineken as far back as in 2007, the transition of supplies under the control of the Russian subdivision of the company did not start until 2011. Then Pivdom got the right for distribution of Krusovice in kegs. In connection to the supplies reorganization, Krusovice brand in 2012 yielded its first position on the import market to beer Spaten, won it back in 2013 and lost it again in 2014. By 2013, the supplies volumes of Pivdom reached their peak, as popular Krusovice occupied almost 40% in the import portfolio of the company. The decline in 2014 was connected to the licensed production launch of sorts Svetle and Cerne. However, Krusovice Imperial and draft Krusovice Cerne continued to be delivered from Czech Rupublic in rather big volumes. Heineken’s partner by packed Krusovice import, Cross-Logistic developed in the similar way. After it obtained the exclusive rights for the brand distribution, the deliveries upheaved, and then were pressed down by the launch of a licensed production. Though in this situation, supplies of the remaining import sorts of Krusovice went under Deko company control during 2015. The retail price of Krusovice import sorts is almost … higher than that of the Russian analogue, and the share market is incomparably lower, besides the devaluation affected their sales severely. Companies Pivdom and Deko deliver a host of big brands, that is why, the sales decline of Krusovice was observed against the background of other brands’ growth. Pivdom deals with draft and packed beer Belhaven, Paulaner, Blanche de Bruxelles, and Karlovec. For Deko company packed beer Paulaner and Wolpertinger are major brands along with Krusovice. Heineken itself is also actively developing the import direction. It is based on cooperation with Diageo and supplies of two key brands for the company, namely, Guinness and Kilkenny on tap. After a certain reduction of their deliveries in 2014-2015, one can expect a substantial growth by the end of 2016. Like Krusovice, Guinness experienced an import decrease due to the licenses production launch. For the moment, the price for Irish Guinness Draught differs from that of Guinness Original by more than … times. Company Superbeer was several years ago known as Russkaya tradiciya. Beer import is the sphere of logistic subdivision Gosseline Logistic. Since 2000, the company has been focused on exclusively beer brands delivery and succeeded greatly, having become the market leader. Superbeer share in the net volume of beer deliveries reached its peak by 2011, though brands Krusovice was excluded from the portfolio. The sales stability was supported by its own know-how, that is, the production of famous in Russia private import brands Prazacka and Cernovar from Czech Republic as well as Liebenweiss and Grotwerg from Germany. And in 2011, there started deliveries of private brands and beer Balakar from the company’s own production in Czech Republic, namely, Tradicni Pivovar v Rakovniku. The most popular and widely promoted among the private brands is undoubtedly Prazacka. The rapid growth of the brand market share went on till 2012, due to the developed distribution, moderate price, quite an attractive package, and active promo campaigns. Then already mature brand slowed down its growth and till 2016, the market share was decreasing against the background of the dynamic development of other import brands. In 2015, the company’s supply share again fell considerably and only and not so much because of the crisis and devaluation. This time Superbeer portfolio “lost” one of the key brands, beer Krombacher. Its sales were exclusively transferred to MBC. However, in 2016 one can expect if not a recovery but a considerable volume growth. The major contribution is now made by brands Prazacka and Cernovar accounting for more than …% of the company’s supplies. Besides, in the first half of 2016, there was a sizable volume growth of own Czech brand Bakalar and a new brand in Superbeer portfolio, namely, German beer Bitburger. To get the full version of this article propose you to buy it ($15) or visit the subscription page. 2Checkout.com Inc. (Ohio, USA) is a payment facilitator for goods and services provided by Pivnoe Delo.